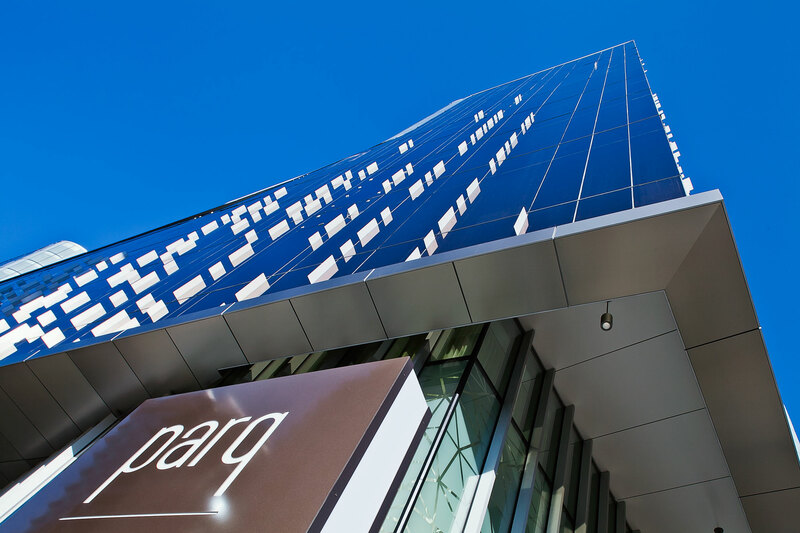 The Parq Vancouver Hotel and Casino is a 600 million dollar resort that was designed by IBI Group with collaborative work from Architecture49 and ACDF Architecture. 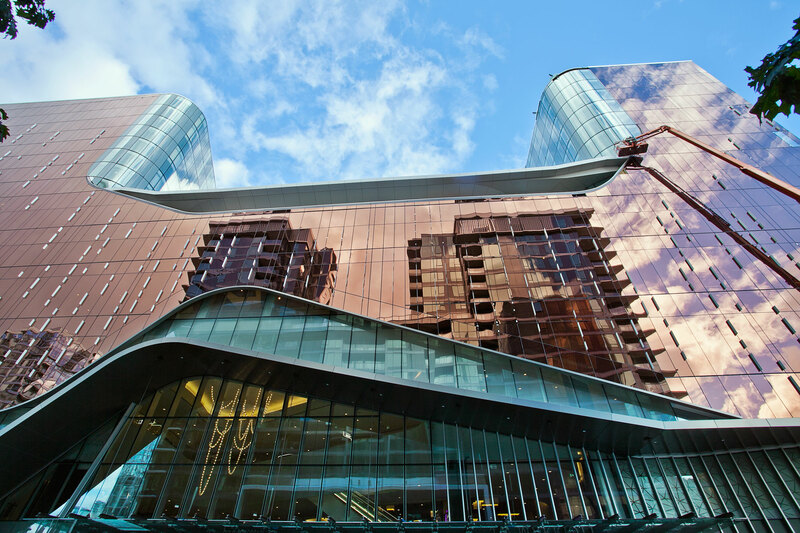 The resort in its entirety is massive with two upscale hotels, a tourism complex which houses the convention and meeting centers, a rooftop spa, bars, restaurants and an over 72,000 square-foot casino. Additionally, the building features a variety of modern building materials including zinc, fiber cement and Alucobond aluminum composite. 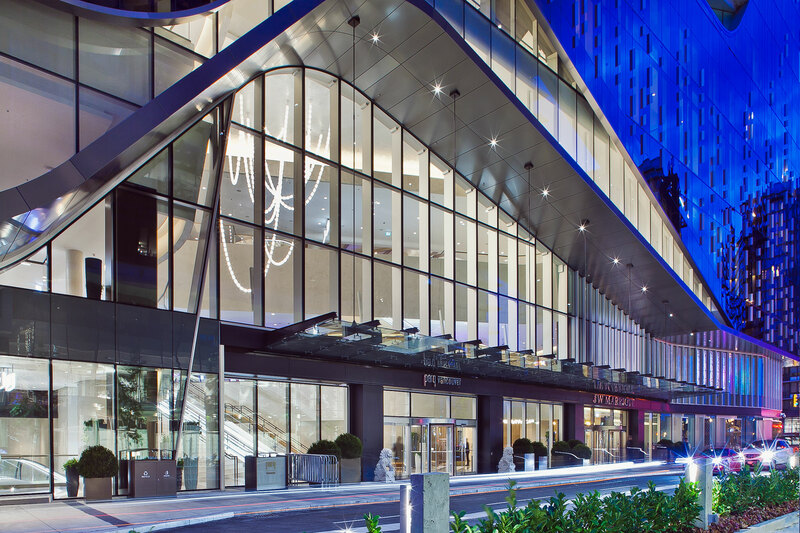 Keith Panel Systems fabricated 80,000 square-feet of Alucobond aluminum composite material in naturAL Stainless, Market White and Statuary Bronze finishes. The material can be seen on the aqueous exterior entrance where it juxtaposes the metallic glass façade. 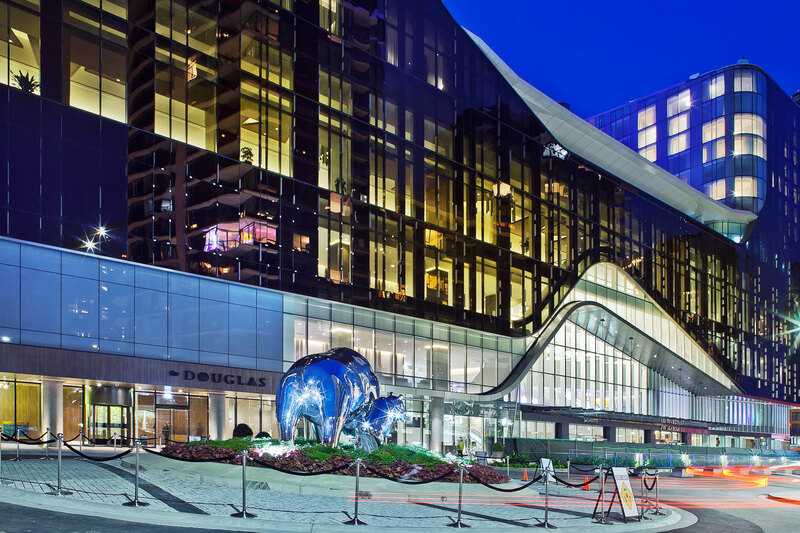 Building within an already established urban framework can be challenging, yet the architects’ work is a beautiful and complementary addition to Vancouver. The project had the potential to be colossal; instead it simply blends into the “cultural fabric” and ensures an endless wave of tourism and prosperity for the city.